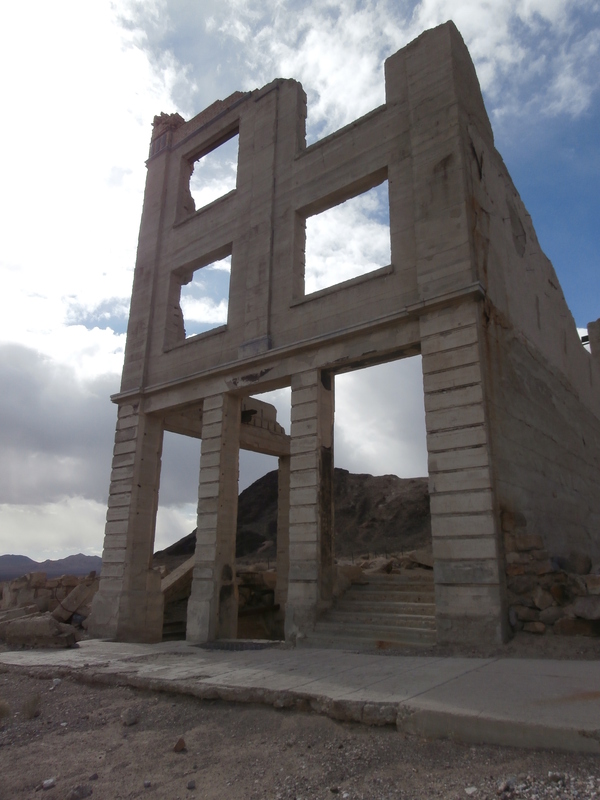 Rhyolite, Nevada- This is by far one of the coolest places I have ever visited. 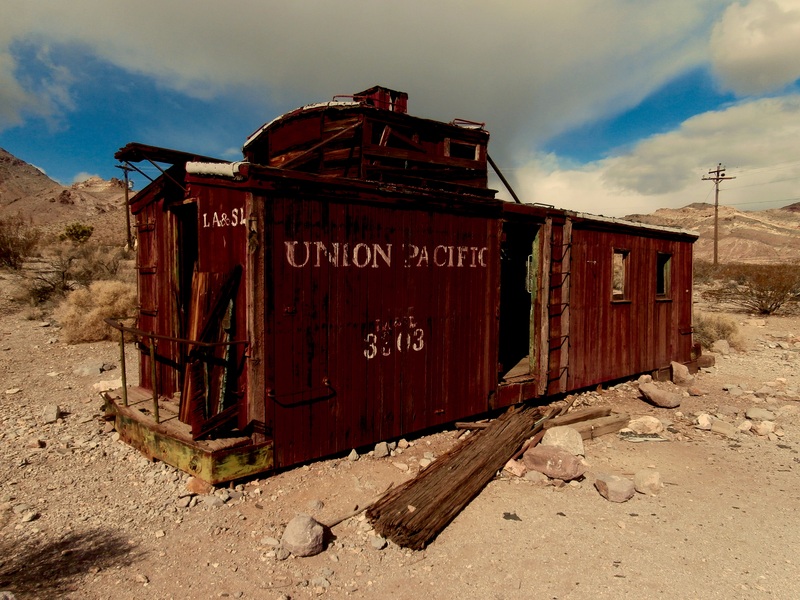 A boring 2-hour drive north of Las Vegas through the Nevada nothingness brings you to the remains of this once bustling metropolis. 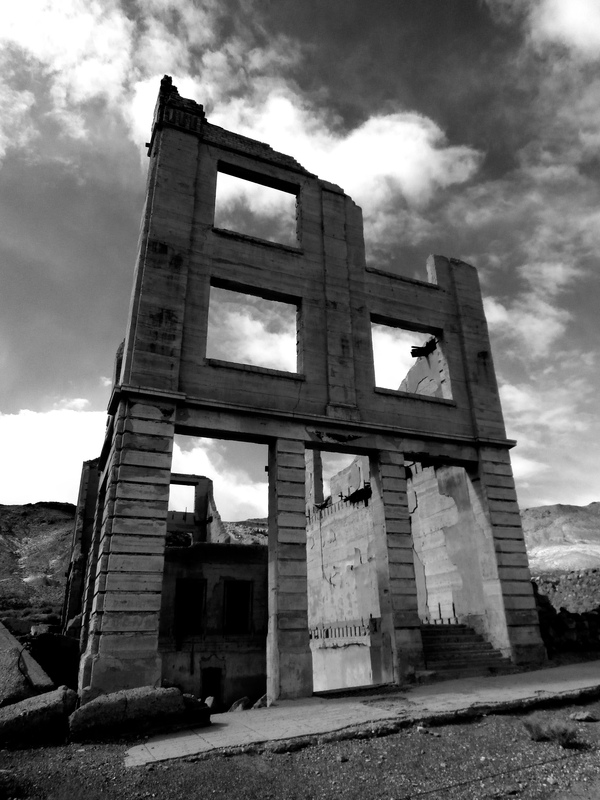 One hundred years ago Rhyolite boasted a population of over 10,000. 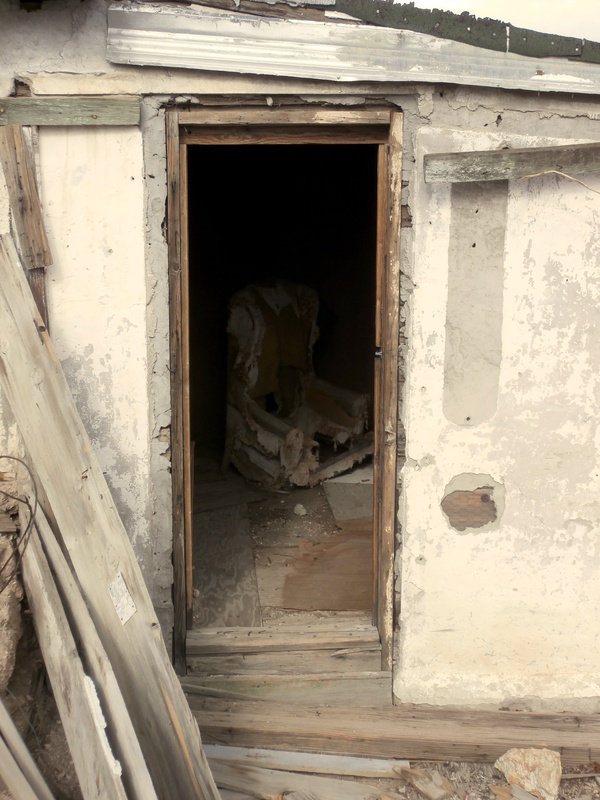 Today no one lives here except the seasonal care taker who watches over this “Ghost City” on the very eastern edge of Death Valley. 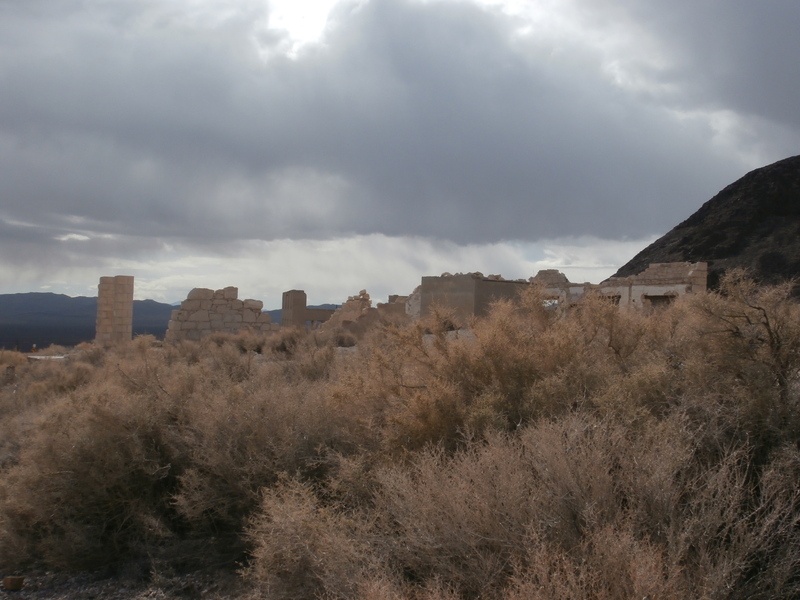 Unparalleled as a boom and bust town, Rhyolite sprang up and disappeared almost completely in the short span of 15 years. 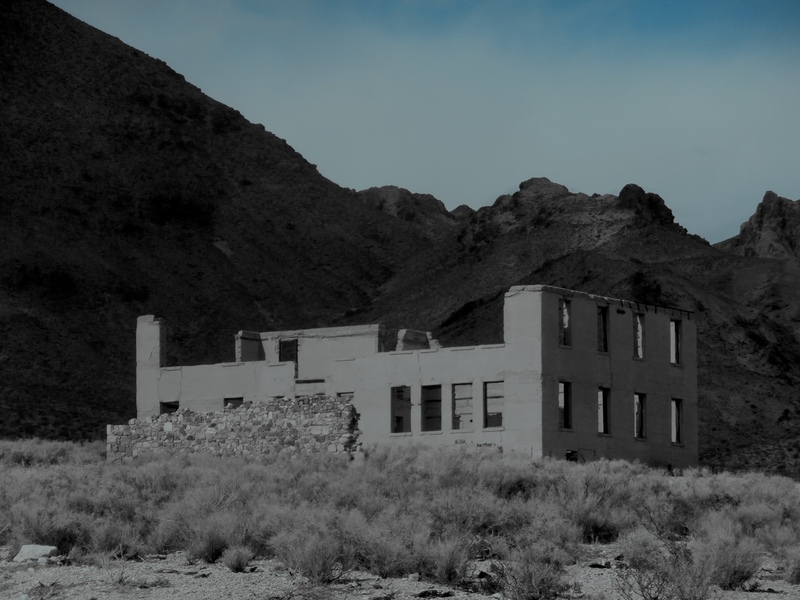 The rich vein discovered in the surrounding hills rapidly played out, and the one time jewel city of Nevada disappeared almost overnight. Today the towering facade of the bank building still stands, complete with the fortified concrete vault still inside. The stone fronts and walls of a few other buildings remain. 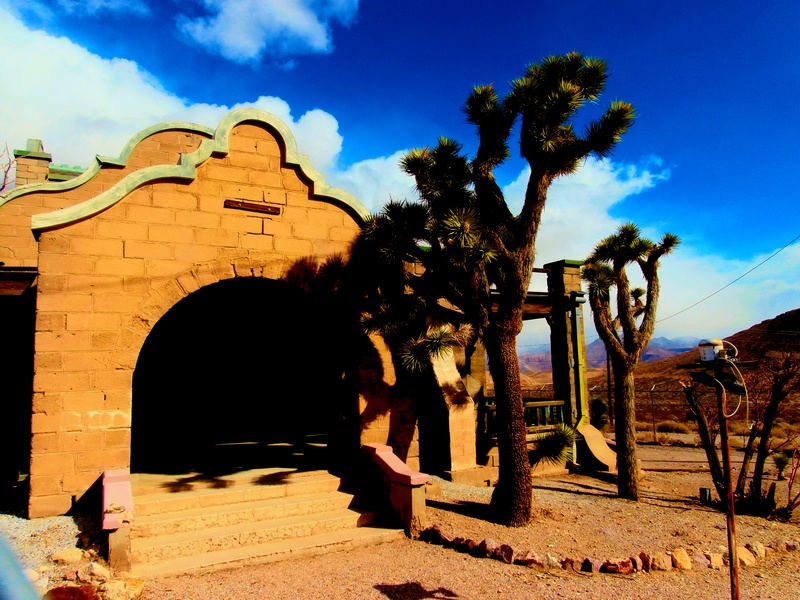 The Rhyolite mercantile, although moved from it’s original location, still makes for some great pics. 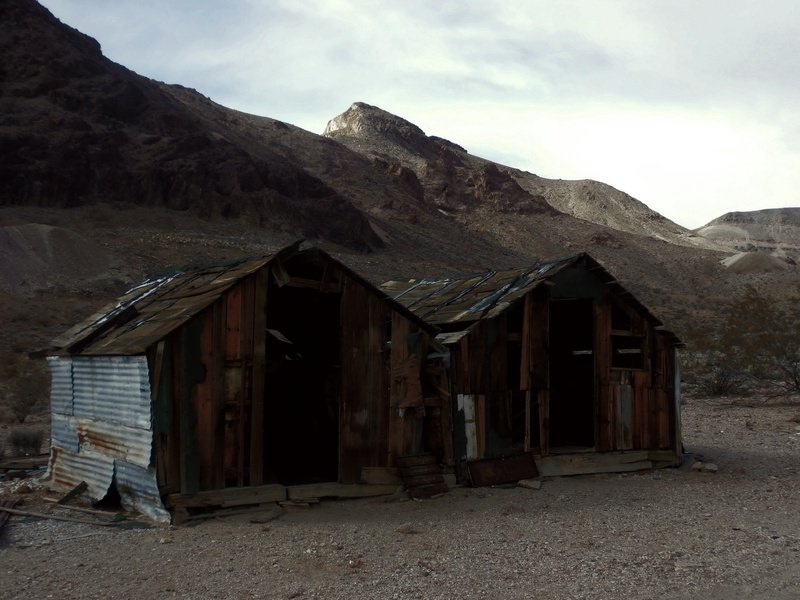 A few other miner’s shacks and out buildings scatter the desert landscape, and mining debris and machinery can be found in all directions. Modern day artists have erected some interesting sculptures on the south end of Rhyloite. 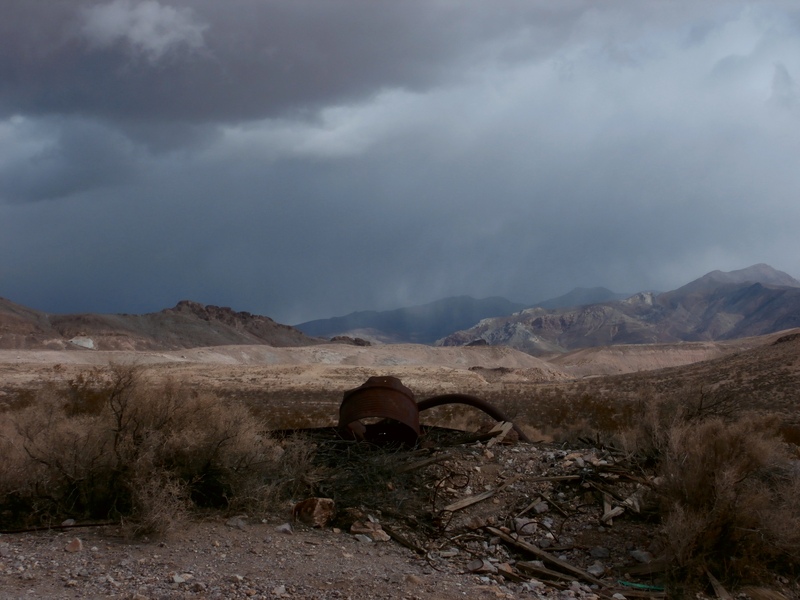 I was lucky enough to visit Rhyolite on a brisk February day, the clouds and intermittent rain and snow showers (yes, snow in Death Valley) provided a spectacular backdrop for a few of my shots. 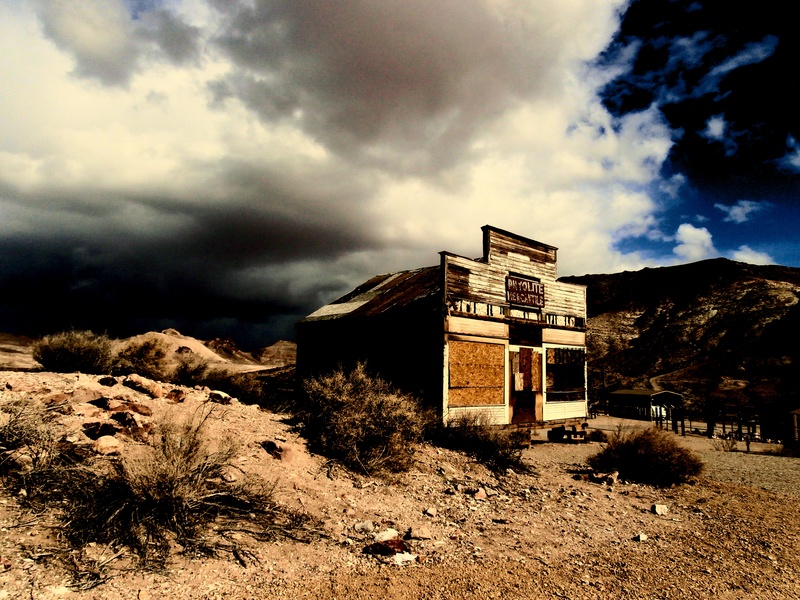 A truly great ghost town.